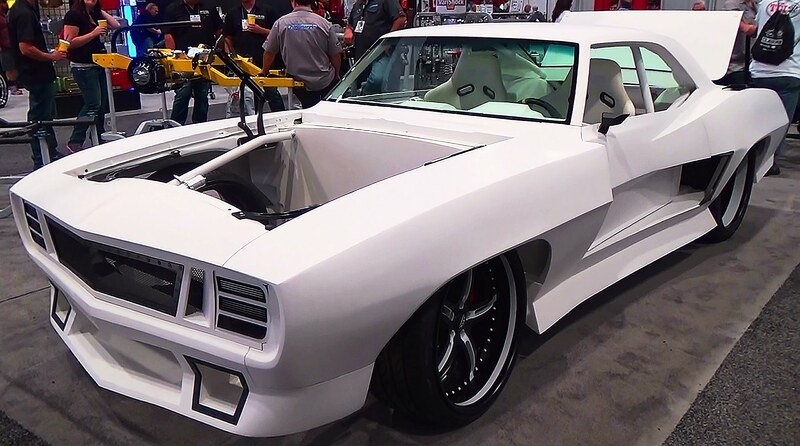 Check Out This Insane 1969 Camaro "Illusion"
In this video Scottie will take us back to the recently held SEMA 2014 to feature this insane looking 1969 Camaro called the Illusion by Relentless Rides. This is definitely not your average Camaro and the first thing that you will notice is the Camaro’s super wide body. It has a white color scheme on both exterior and interior with tiny black details on them. It is funny because this car somehow reminds me of the Star War Troopers. rides on a ground braking chassis by Chassisworks, it has a 405mm wheels at the rear and super cool taillights. The engine however is still missing on this car but I guess the maker of these car only want to showcase the insane body work that they did in this Camaro. What do you think, is it a Hell yeah or a hell no?